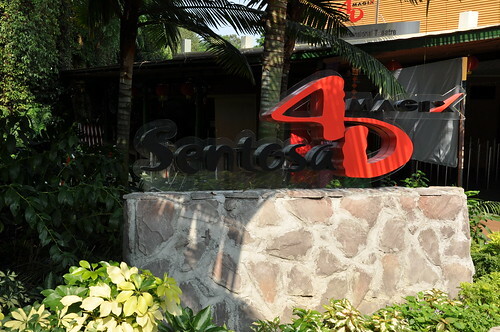 Thanks to 24seven, today Lester, I and a few other bloggers have a chance to experience 4D Magix and CineBlast at Sentosa. 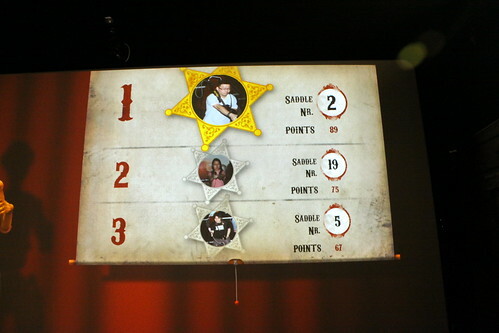 The first show we watched or rather played was as an interactive game called Desperados at CineBlast. 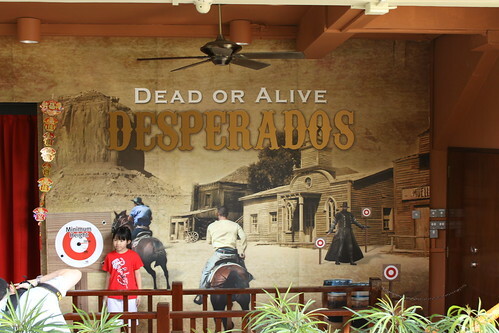 Desperado is Singapore’s first interactive shoot out game where there are like 25 of us sitting down on a cowboy saddle and shooting bandits on the screen as they appear. At first I thought the cowboy saddle are just dummies, I didn’t know they move! But nevertheless, it increases the difficulty as well as the fun of the game. I was in the first place during the training mode, but dropped to 3rd place for the final results. We have unlimited ammos, so I trigger happy and half way through the game, I have to switch hands because my fingers are aching. 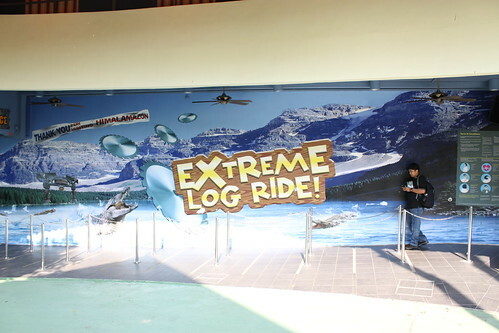 The next show we watched was the Extreme Log Ride which is also at CineBlast. It is a 3D simulator, so you have to wear the 3D glasses provided. You started out as a log in the Himalamazon being cut and then transported to the other end of a logging facility. It is pretty realistic as there are 6 axis of movement within the simulator cabin. 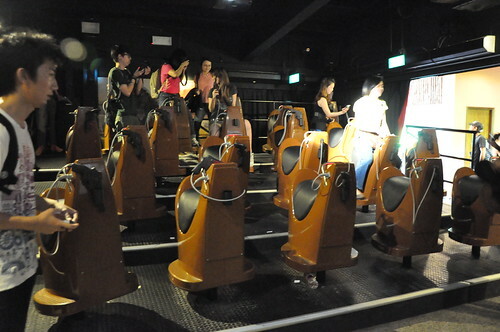 But if you got motion sickness, I would recommend you to avoid this as the movement can be pretty sudden and jerky. 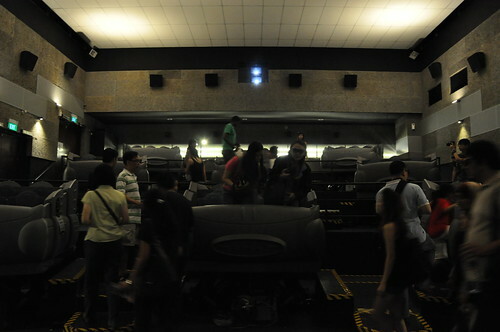 Unlike the previous two shows, Pirates is not a computer generated film but instead it is acted by humans. The story of the show focuses on this single young pirate setting traps around the island for the other pirates as they are looking for treasures on the island. Similar to the Extreme Log Ride, this is also a 3D show, but they added in another D to become 4D. The additional D come from wind blowing at you, water sprinkling onto you, movement of the chair as well as pressurized air being release below at your leg and at the top beside your head. I kinda like the elements in the extra D, perhaps they can include smell as well. The movement of the chair is irritating though. 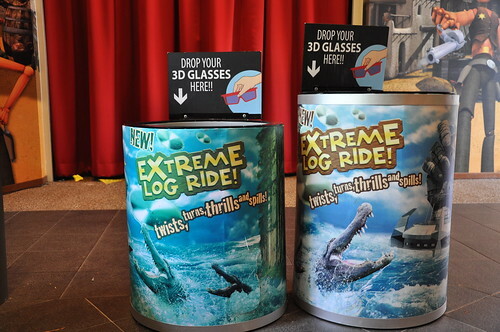 I think the 3D is more realistic than the Extreme Log Ride. You can literally see and “feel” a bee and a bat right in front of you. 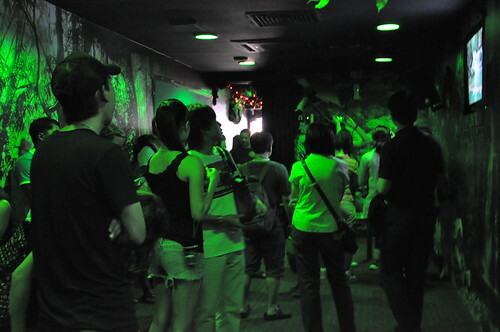 The opening hours of the show is from 10am to 9pm daily and the last show is at 8.45pm. Child rate is for 12 years old and below. 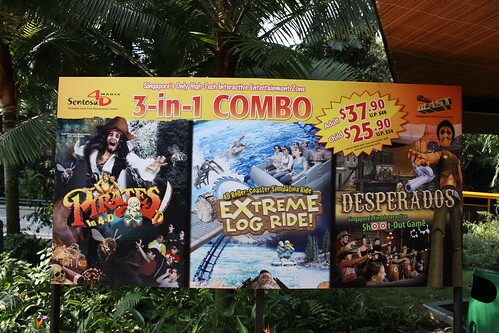 Minimum height is 90cm for Extreme Log Ride and 110cm for Desperados. Pirates have no minimum height for children. 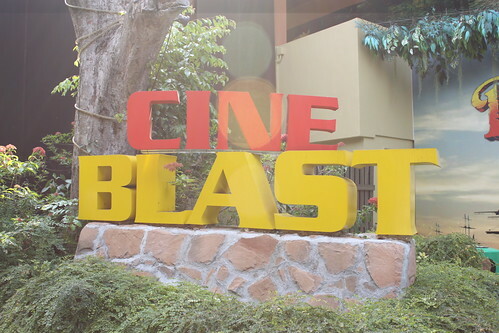 Note: I did not link the official 4D Magfix and CineBlast website because it has been marked as malicious by Google.